I can remember a time that Cadillac was the go-to for a big honking American luxury car. Cadillac, believe it or not, was considered as a brand that had its own cliché and was even touted as the definitive mark of luxurious transportation on American roads. Today, the formula as changed considerably, and Cadillac is in a haste to redefine their presence. 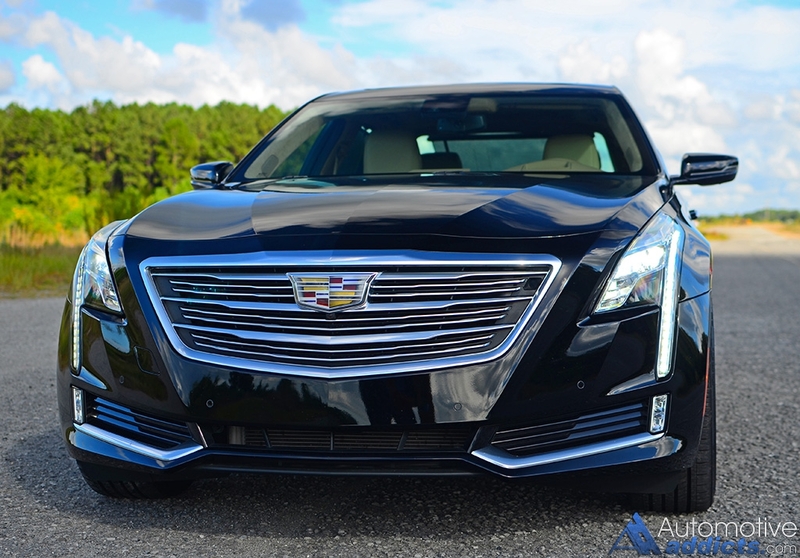 Part of the restructure rides on the shoulders of their latest flagship sedan, the all-new Cadillac CT6. The new Cadillac CT6 comes about at a time where not many onlookers expect an overshadowing stately presence from the brand. Then, I have to wonder, is it all a fault of Cadillac’s marketing? Is it something wrong with today’s culture accepting a new “big” Cadillac after we have accustomed our definition of the brand on the lonely solders of the ATS, CTS, SRX (XT5), and Escalade? Well, I would go as far as to claim that Cadillac’s brand signification in American is somewhat murky, but there is room for expected growth. 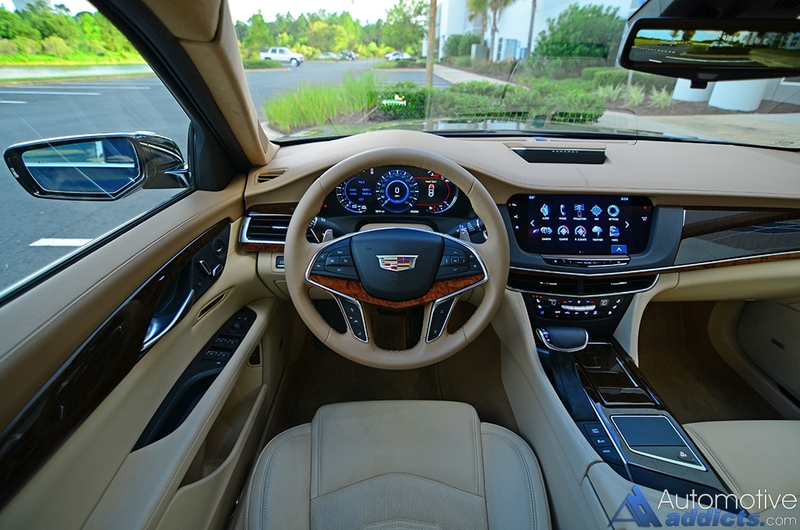 Fortunately, the growth is part of what the CT6 is about, to get things back on the path that Cadillac once trumped during the days of floaty suspensions and a cushy-plush interiors with hair combs stored in the glovebox. 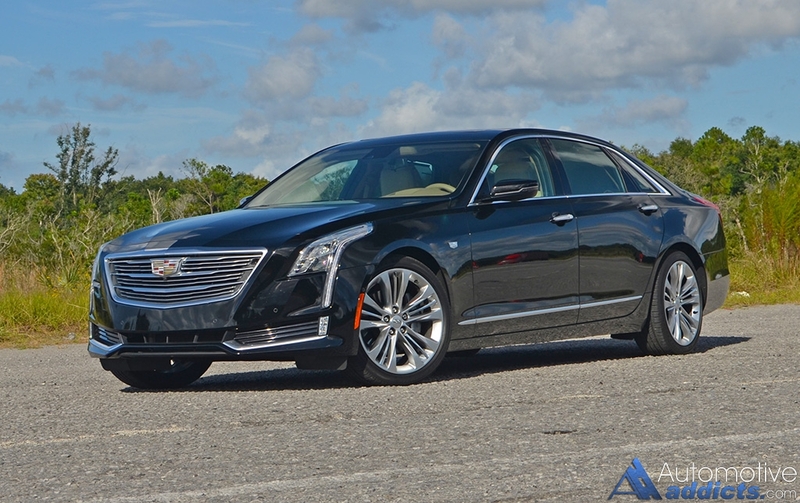 The all-new Cadillac CT6 has taken on a new full-size path as to not go up against full-size German competition but instead pave a new trail on its own. In that, the new CT6 is a vehicle that mistakenly identifies with sports luxury sedans more so than the road-hogging luxury cruisers we find wearing three-pronged stars and black n blue roundels. The CT6 is its own creation, a good one that I may add. 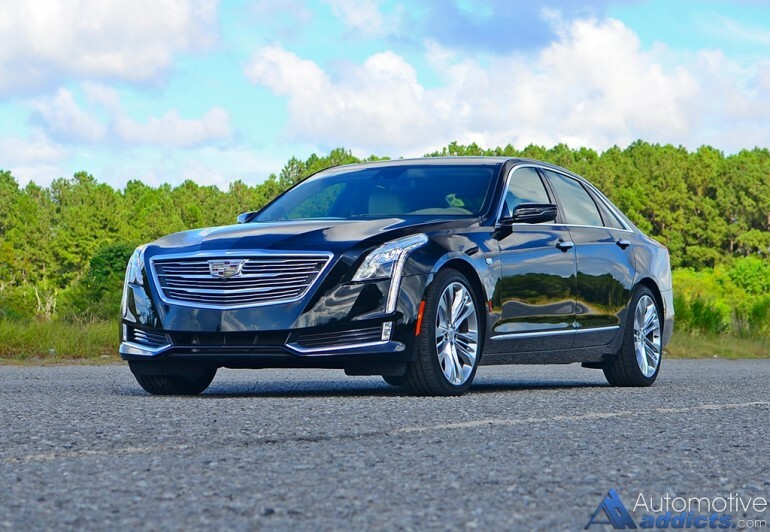 To meet the wants of the masses in the market for a versatile luxury sedan without compromise, the new Cadillac CT6 offers a variety of trim options and powertrains, starting with a 2.0-liter turbocharged 4-cylinder with 272 horsepower and then moving to the mid-level 3.6-liter V6 with 335 horsepower, and my test vehicle’s 404-horsepower 3.0-liter twin-turbo V6. While the 2.0-turbo engine can be had in either the base or Luxury trim, the 3.6-liter and 3.0-twin-turbo engines can be configured for the Premium, Luxury, or Platinum trim level. The 3.6-liter V6 can also be had in a base trim. All V6 models, including the non-turbo 3.6 and 3.0 twin-turbo, get all-wheel-drive as standard. The 2.0-liter turbo is left to rear wheel drive only. 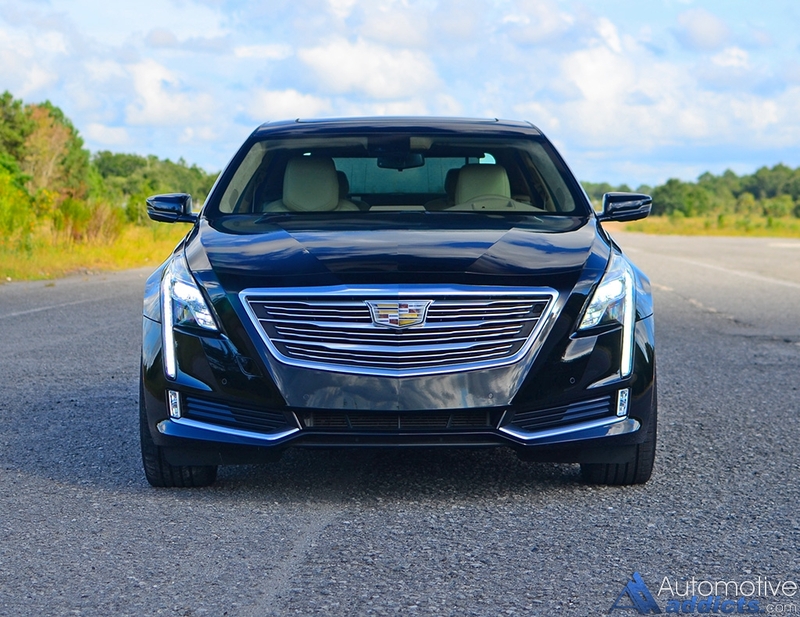 Cadillac has upped the ante with the CT6 regarding creating a wonderfully thought-out vehicle that brings luxury to the forefront only to be perceived by those paying attention as a performance sleeper. The luxury in the CT6 is followed by surprising performance in the top model trim level’s twin-turbo V6, which powers my CT6 Platinum All-Wheel-Drive (AWD) test vehicle. 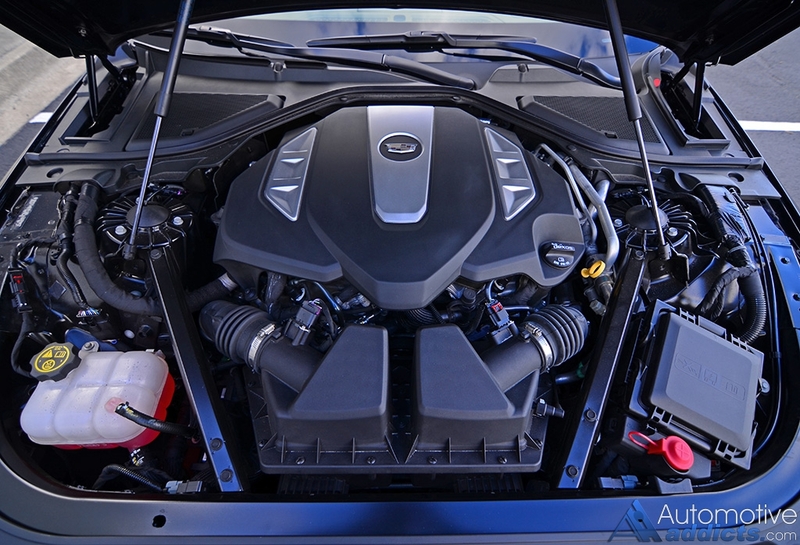 The new 3.0-liter twin-turbo V6 engine, with 404 horsepower and 400 lb-ft of torque, is a marvel that surges the relatively lightweight aluminum body of the CT6 forward with authority, making it to 60 mph in just 5 seconds flat. The 8-speed automatic transmission fires off upshifts quickly and smoothly with seldom throttle-matched downshifts upon aggressive driving. Supporting that trusting momentum is a remarkable chassis that rides on magnetic dampers adjusting in milliseconds to have the best ride yet in a modern-day Cadillac. The magnetic ride control is tuned well, so well that it nearly rivals the road-reading system that you find in Mercedes-AMG’s living-in-excess S65 Sedan. Ride quality is a perfect combination of sport and luxury when and where you need it. 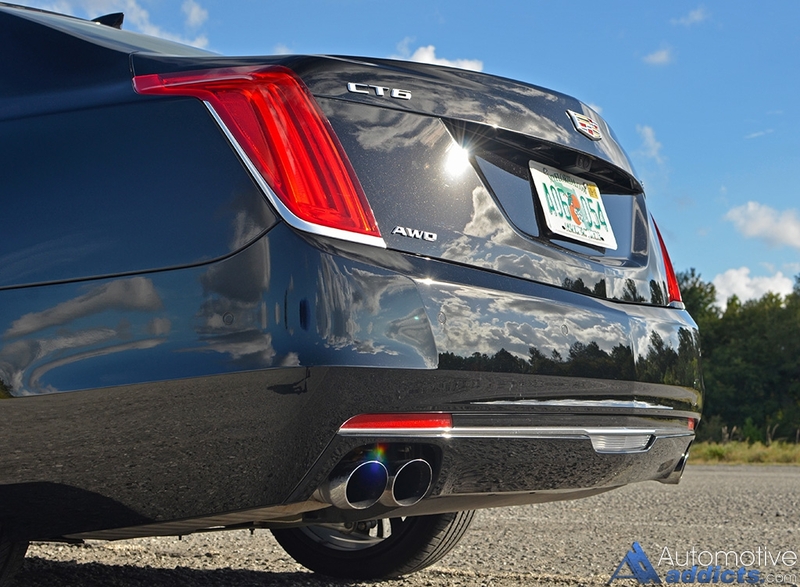 Moreover, pushing the CT6 into exit ramps and out of bends on back roads is gratifying, never sloppy, and the stability control and traction control is hardly overly intrusive as the all-wheel-drive system does an outstanding job to pull or push without fuss. The 60% initial rear power bias, which can be switched to 80% rear bias by selecting the Sport drive mode, nicely balances power to the ground. Sport mode also sets the Magnetorheological shocks into a more aggressive dampening setting, which I found to be mostly unnecessary as the normal Touring mode sufficed in firming things up momentarily upon detection of aggressive driving. Also, to my surprise, the steering feel and weight is agreeable at higher speeds when entering into turns. 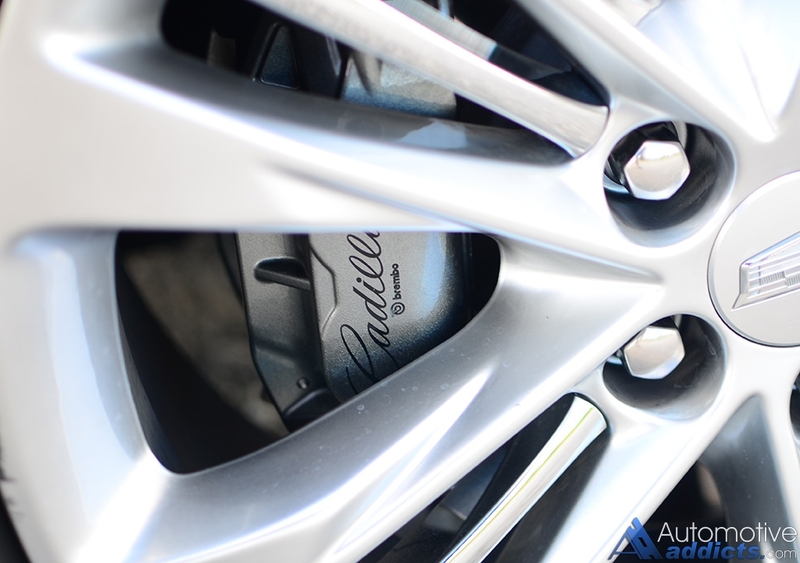 The wheel added an abundant amount of weight without selecting Sport mode. Though, the steering feels mostly artificial at lower speeds, as expected on most new electric steering racks that are reserved for luxury sedans. 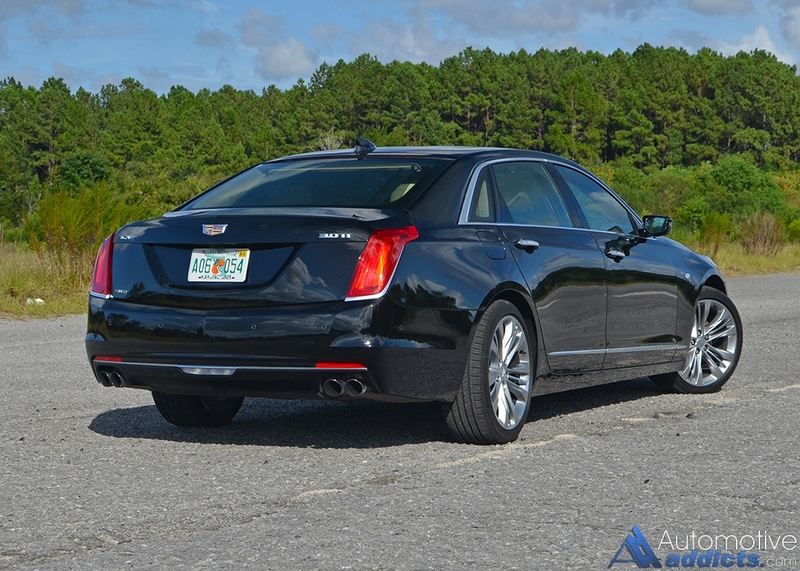 Making turn-ins at low speeds sharper was the active rear steering, part of the active chassis system that worked seamlessly to retain an agreeable driving dynamic of the CT6. 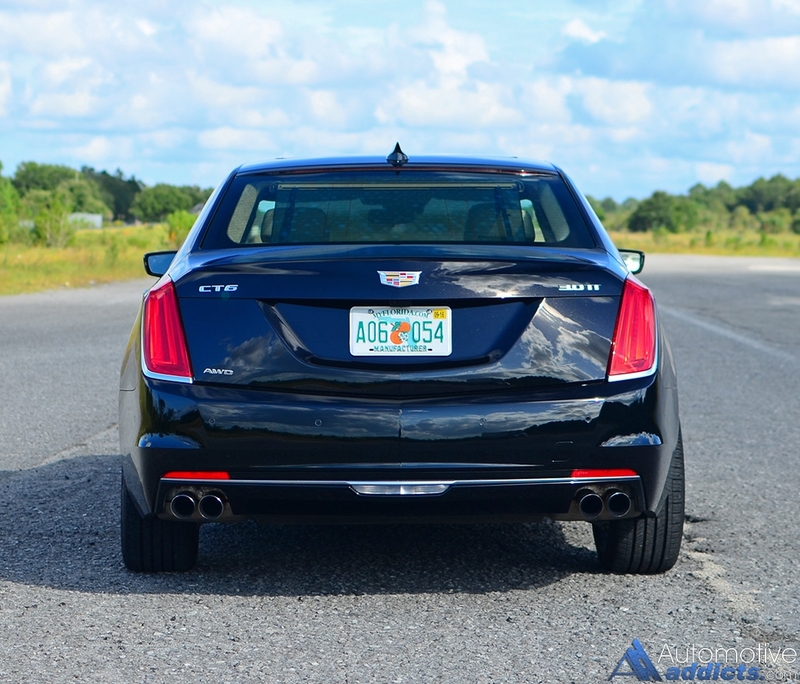 The rear steering system noticeably turns the rear wheels up to 3.5 degrees at low speeds, which tightens the turning circle by about 3 feet according to Cadillac. At higher speeds, the rear wheels turn up to 2.75 degrees in the same direction as the front to reduce yaw upon lane changes. 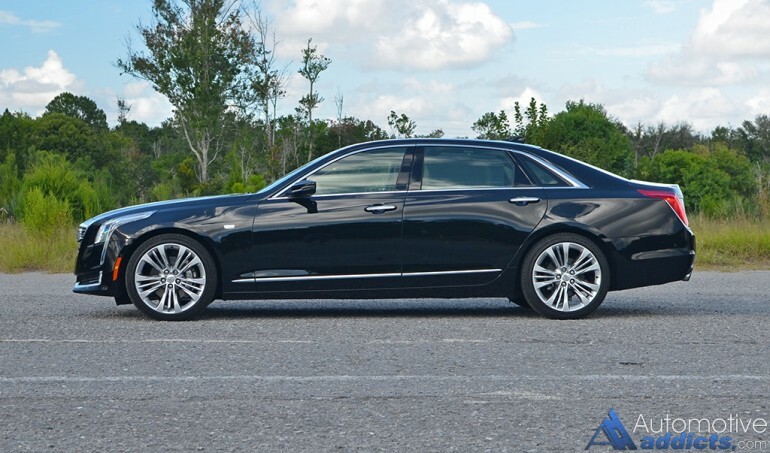 I like it – especially when the guy in the car behind you takes notice and purposely flags me down to inquire about one of the most technologically advanced Cadillacs on the road. 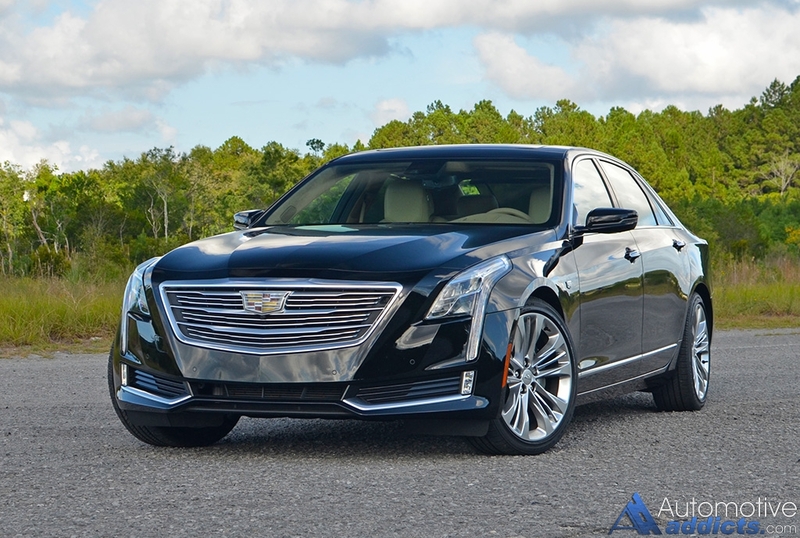 The Cadillac CT6’s fuel efficiency is on par with what is expected in a powerful full-sized sedan with a slight edge over its short-listed competition, especially considering my CT6 test vehicle’s all-wheel-drive system and just over 400 horsepower to boot. I saw figures as high as 26.6 mpg on the highway muddling along at the posted 65 mph speed limit much in part thanks to the clever cylinder deactivation of the twin-turbo V6. When the V4 mode would automatically enable under light loads or coasting, there was a faint drone sound upon soft acceleration. Otherwise, cylinder deactivation was mostly unnoticeable and permitted slightly better fuel economy than its EPA-estimated figures of 18 mpg city, 26 mpg highway, and 21 mpg combined. The exceptionally smart and reserved start-stop system, which can be disabled, played into the CT6 getting a respected EPA-estimated 18 mpg city figure. There is evidence that Cadillac put in the extra homework hours to make the CT6 an unforgettable experience for those who “dare.” While their marketing, in conjunction with the brand-familiar design mold of the CT6, has been a lukewarm execution. 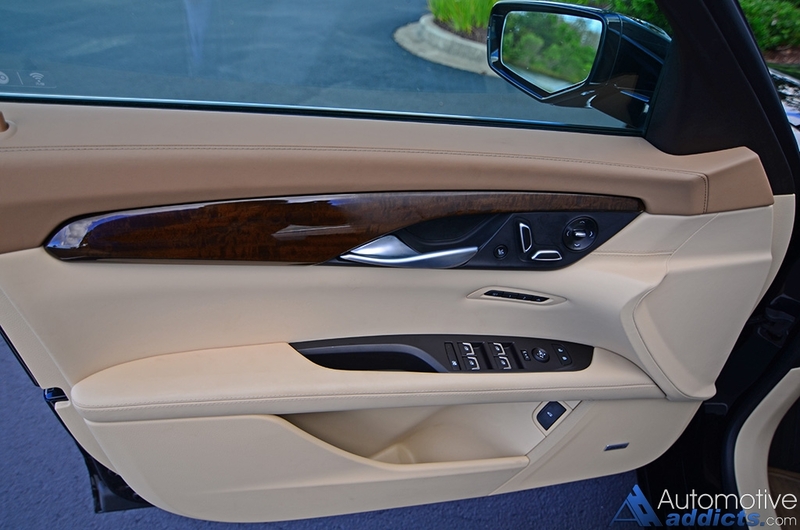 In my assessment, the CT6 is deserving of a close look to digest the fine details that set it apart from the norm. 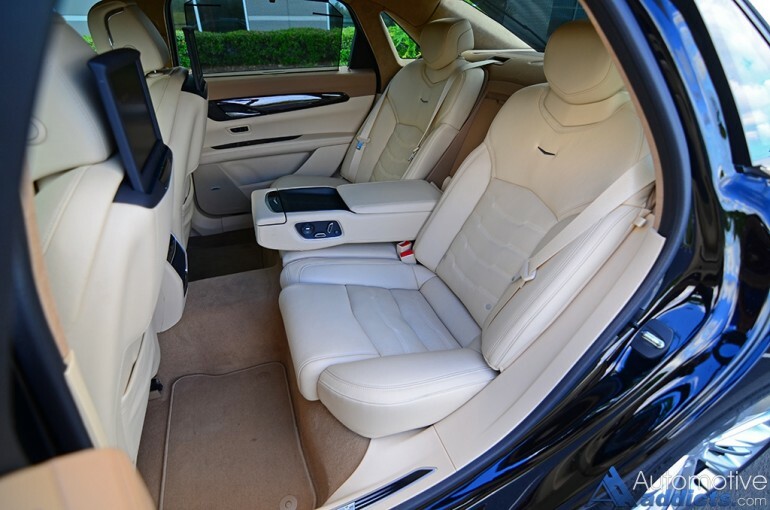 Most of those traits are found in the lavish cabin of the CT6, an airy space that attempts to polish technology to the point of it being somewhat overwhelming and sometimes requiring a few extra brain cells. 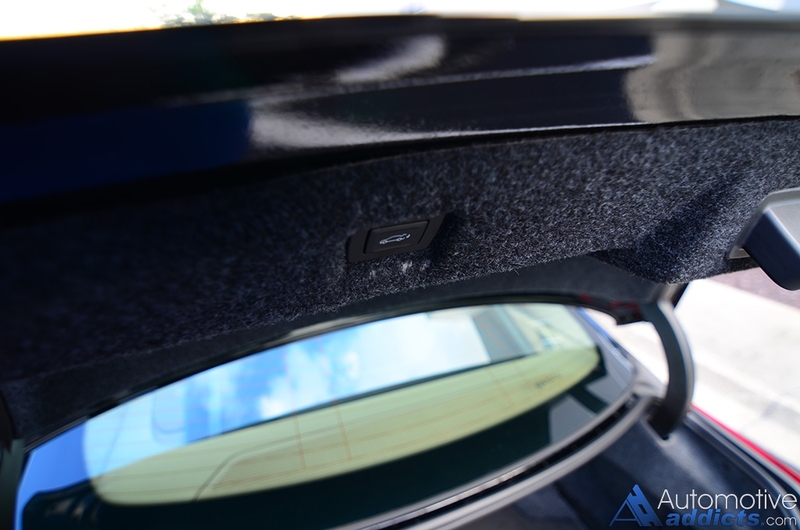 While the latest CUE (Cadillac User Experience) infotainment system has been slightly reworked, it still has a few shortcomings, such as the volume adjustment still being a touch-capacitive slider area, and the glossy touch screen collecting fingerprints. 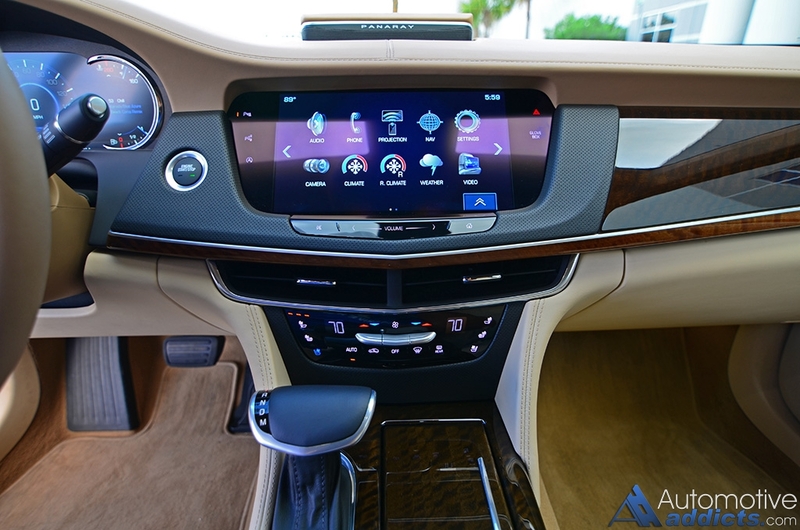 Though, Cadillac has stepped things up with physical button areas for the climate controls and a new trackpad for a redundancy of controlling the infotainment screen. If you don’t want to touch the screen, you don’t have too. 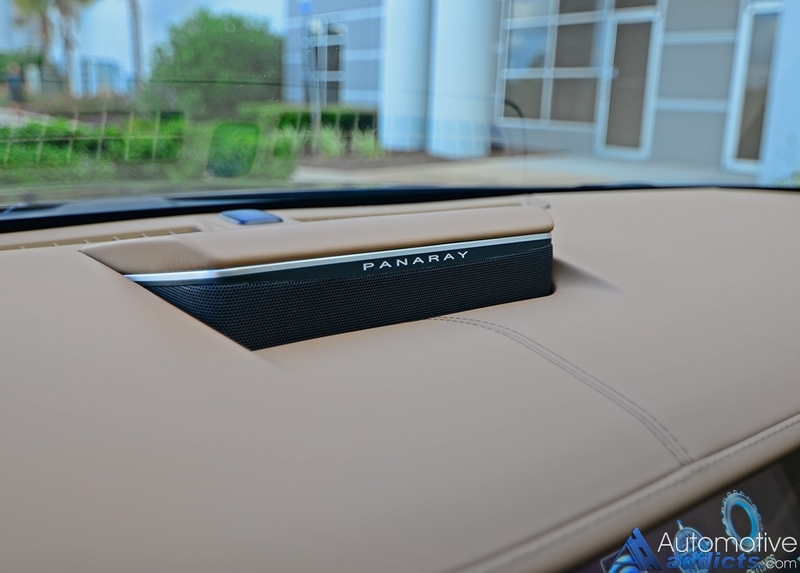 The touchpad will suffice for all on-screen functions, with the exception of controlling Apple CarPlay, which can only be controlled through your physically-connected iPhone or the touch screen. Altogether, the system is much improved and is exceptionally responsive for most inputs. 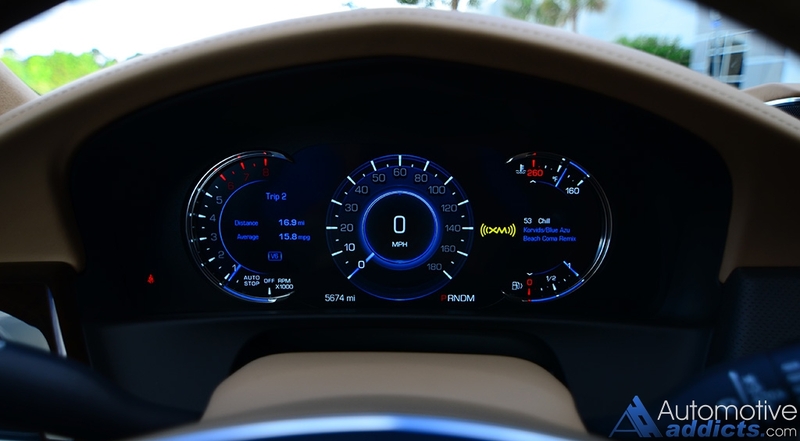 The use of the color heads up display, 360-degree camera system (which doubles duty as a dash-camera-recorder stored on an inserted SD Card), adaptive cruise control, night vision, forward collision alert with pedestrian detection, LCD live-view (HD Video) rear-view mirror, and the crisp-sounding-at-higher-volumes 34-speaker Bose Panaray audio system, are all part of the Cadillac’s willingness not leave any stones unturned through the use of today’s advanced tech. 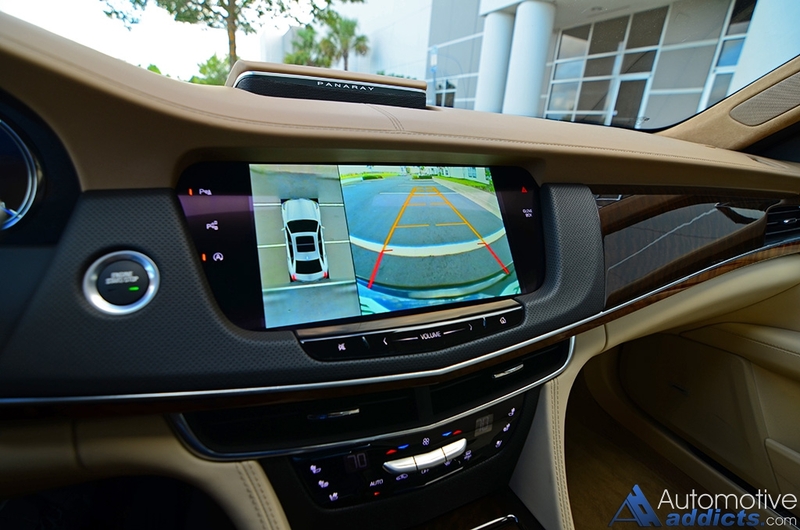 While the live-view video rearview camera is nifty, your eyes taking a second or two to adjust to an artificial depth of field versus a normal mirror having the same depth as your forward view. Fundamentally, the live depth is hard to judge and get used to, and the feed tends to lose fine details on objects or vehicles in at a distance. 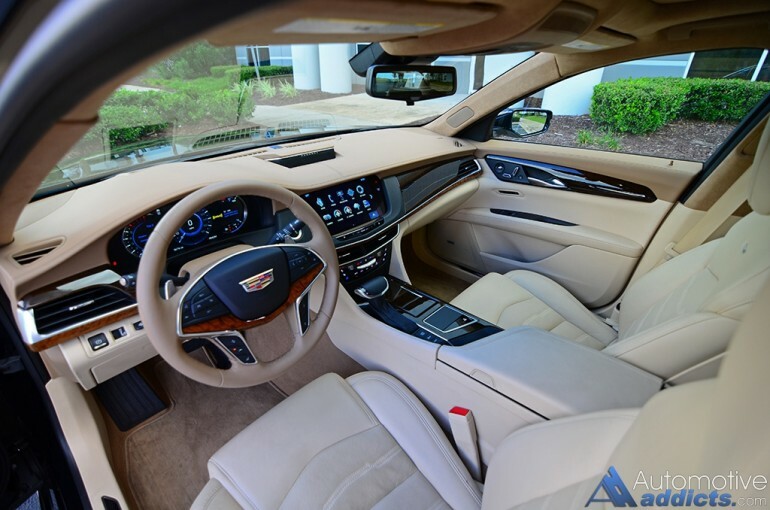 The interior of the new CT6 is plush but tidy with several leather-wrapped soft-touch surfaces throughout. There is a welcomed Cadillac tradition of the soft visuals of the CT6’s cabin, one that harkens back to the days of Fleetwoods and Sedan DeVilles, only dolled up with today’s advanced technology in the form of several active safety features, proper luxury amenities, an exceptionally quiet cabin, and heated and ventilated seats with massaging up front and on the rear outboard seats. The clever use of the interior space, while not to up to the dimensions of long-wheelbase variants of the Lexus LS, the CT6 is the perfect size for running with an array of midsized and full-sized luxury sedans without the unwanted bulk and lacy performance of near-limousine-sized land yachts. 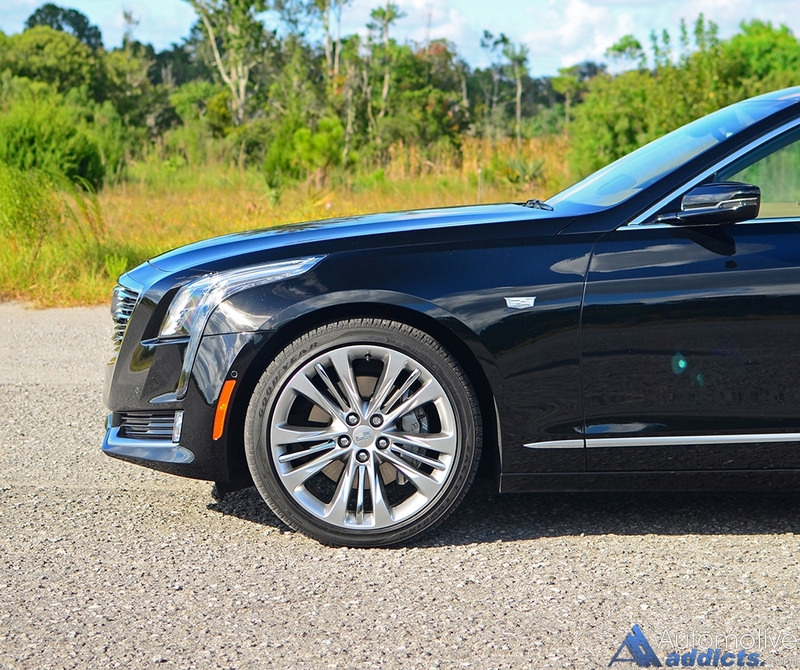 I think of the new Cadillac CT6 as the best handling full-size luxury vehicle that you don’t mind tossing around on the way to board meetings. The new 2016 Cadillac CT6 starts at a respectable $53,495 for the base 2.0-liter 4-cylinder turbo rear-wheel-drive models. 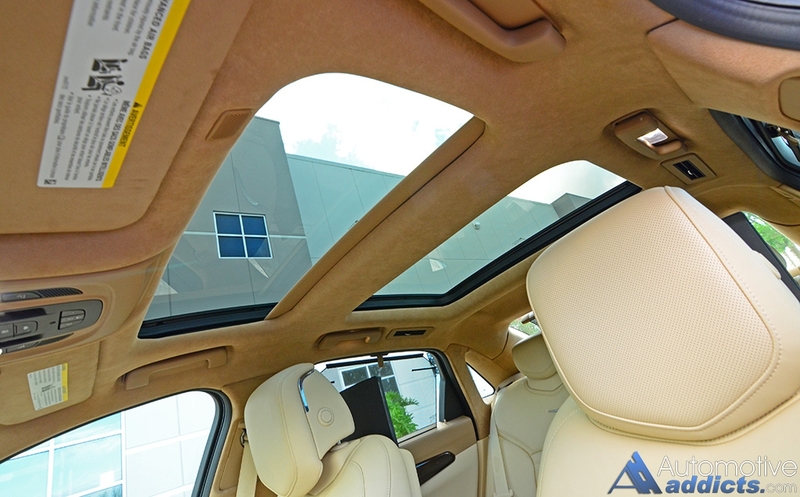 From there, adding several bundled features and a bevy of safety features and luxury amenities, the CT6 can get as high as $87,465, which is where my top-trimmed test vehicle lands for its as-tested price including a $995 destination charge. While I can’t find much to fault in the new CT6, I’m not sure it’s enough to run with the German flagship sedans. Though, the CT6 has been one of my favorite vehicles in the realm of mainstream luxury sports sedans – if that means anything. I totally get the CT6, and it would be my favorite full-size luxury sedan if there were no such thing as an S-Class or BMW 7-Series. Now, if the CT6 were a competitor to the 5-Series or E-Class, it would take home the gold, no doubt. 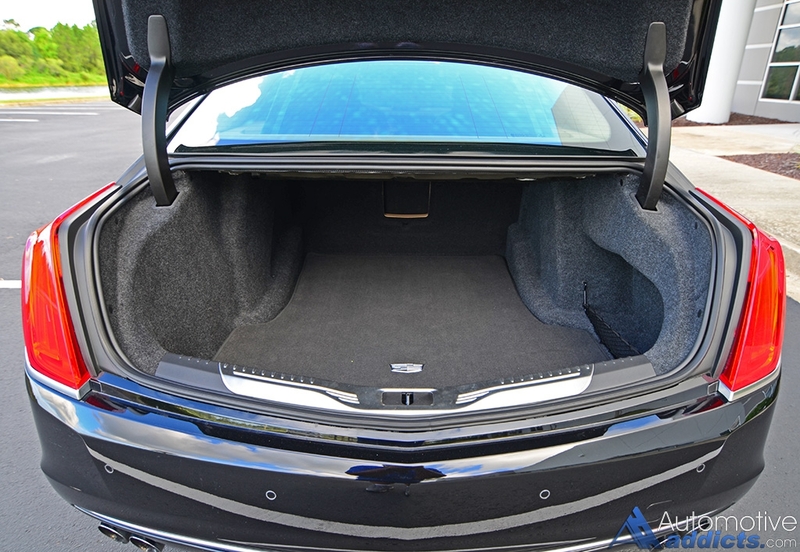 Though, the CT6 appears to be a vehicle to temporarily demonstrate the remarkable ingenuity and forward thinking from Cadillac. I would love to see a CT7 (or CT8) follow-up – which I believe would be the definitive American definition of full-size automotive luxury. More of THIS, please, Cadillac! EPA passenger volume: 121.2 cu.ft.